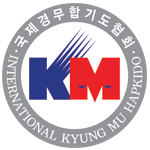 KM Hapkido will be releasing 4 new instructional Apps from IOS and Android devises. 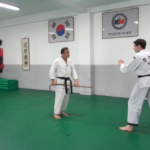 These Apps are in video format and will feature most classical and modern execution of Hapkido techniques from the Kyung Mu Hapkido system. Unlike previous attempts by other vendors, these instructional Apps put off-line video content right in the palm of your hands. All 4 Apps are schedule for a late Summer 2018 release date for Andriod devices. A fall 2018 release date is planned for Apple devices.